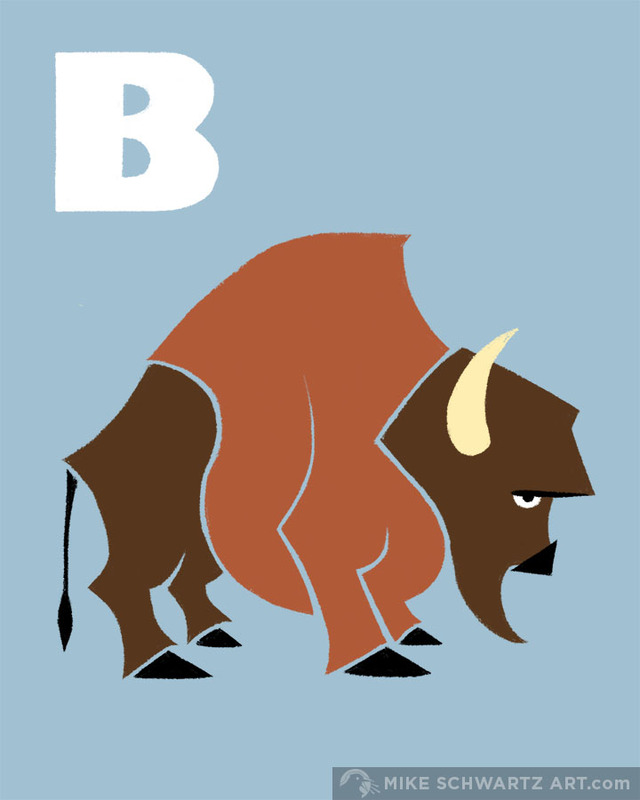 Developed as a product for Etsy, these Animal Alphabet cards help children learn their ABCs through simple, elegant animal art. What started as a drawing test on my (then) new iPad has become a favorite of Esty-savvy moms-to-be. This alphabet has a few extra letters due to custom animal requests. I always enjoy breaking down the animal forms and getting as simple as possible. Order yours here.